Middle Eastern Art & Chinese Ceramics Lead Skinner’s Asian Works of Art Auction, September 16 | Skinner Inc.
BOSTON, MA – Skinner, Inc. will present an Asian Works of Art auction of over 700 lots on Friday, September 16, 2016 at 11AM, coinciding with Asia week auctions in New York City. 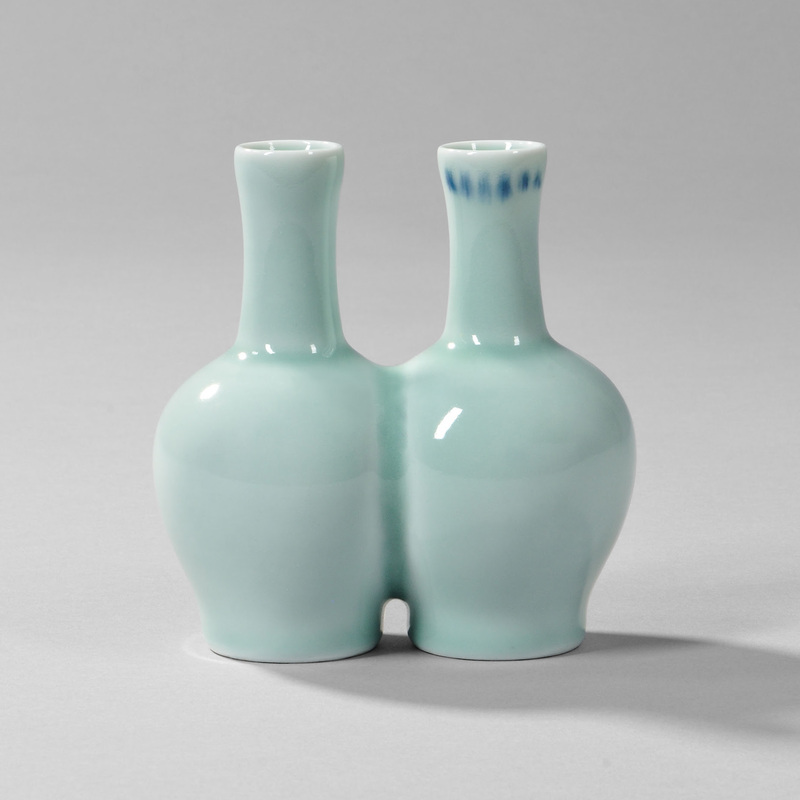 The auction features several important private collections, including early Middle Eastern ceramics and manuscripts, tomb pottery from the Han and Tang periods, and an exceptional collection of early monochrome miniature ceramics from the Tang to the Qing dynasty. 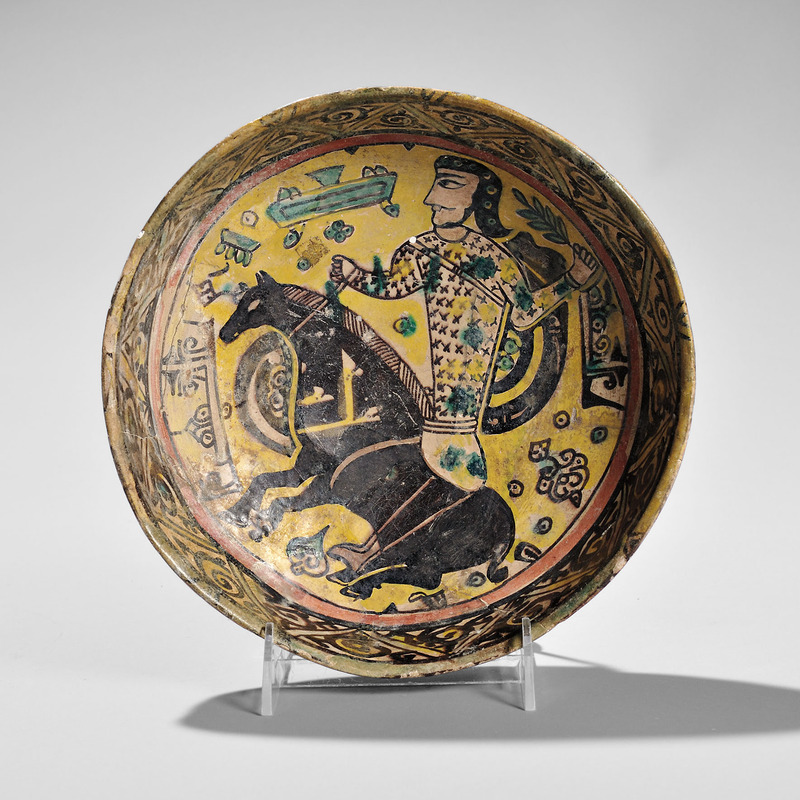 The auction opens with an excellent selection of Middle Eastern ceramics, manuscripts, and metal work from the estate of Marion E. James, former Chair of the Department of History at the University of New Hampshire. Professor James’s interest in Middle Eastern history led her to travel to Iraq, Afghanistan, India, and Syria in the 1960s. While traveling she began collecting works of art that interested her and could be used as teaching materials. Many pieces from her collection were bequeathed to the University of New Hampshire and the Museum of Fine Arts, Boston. Outstanding offerings from the estate include Persian ceramics dating from the 11th to 18th centuries; featuring a large beige-glazed bowl with hippopotamuses (Lot 34); a green-glazed Nishapur high bowl decorated in high relief with a molded calligraphic band and bird and flower motifs (Lot 35); and a turquoise and black Kashan deep bowl decorated with a central female figure and an interior border of animals (Lot 37, all estimated between $2,000-$3,000). For collectors of Chinese tomb pottery, the auction offers an excellent selection of warriors, entertainers, animals, and villages from the Han and Tang periods, many with thermo-luminescence certificates. 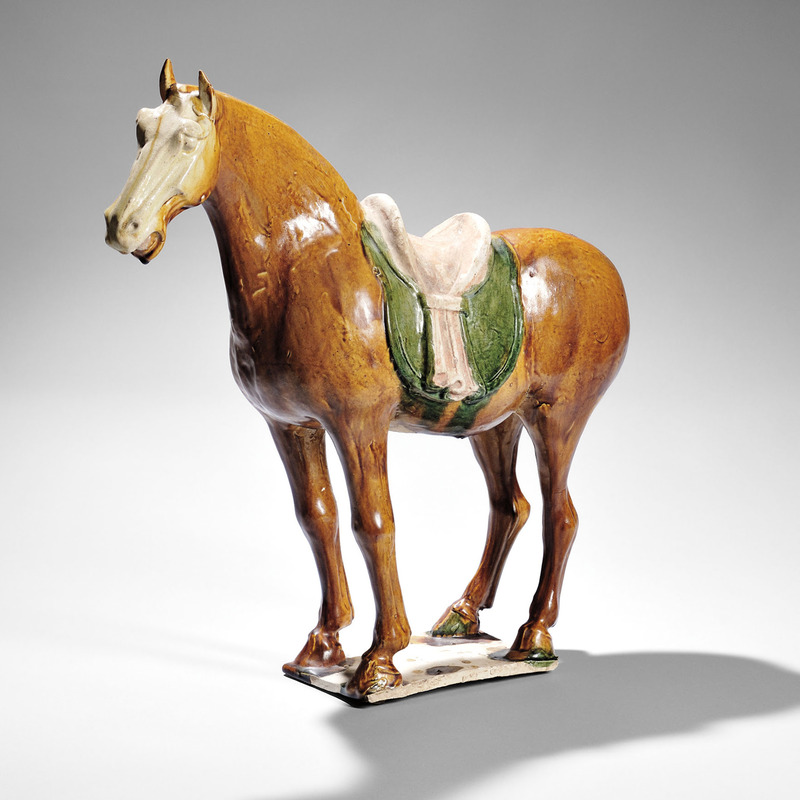 A large black lacquer horse from the Han Dynasty (Lot 55, $10,000-$15,000) and a sancai-glazed horse from the Tang Dynasty (Lot 57, $15,000-$20,000) are two pieces of particular interest. Not to be missed is an exceptional pair of large, white marble lions with dragon heads of Ba Xia (Lot 84, $40,000-$60,000) possibly from the Tang dynasty. In Chinese mythology, Ba Xia is known as one of the nine sons of dragon king, sculptures with his likeness were typically placed at the entrance of bridges to ensure safety. A strong collection of monochrome ceramics offers a stunning array of glazes and shapes. Highlights include a rare, black ware russet, truncated Meiping bottle (Lot 99, $8,000-$10,000) and a celadon-glazed, double-bottle vase (Lot 127, $8,000-$10,000), as well as, several superb pieces from the Liao and Tang dynasties. A Ming-style bottle vase with a Qianlong mark, possibly of the period, highlights blue and white ceramics (Lot 177, $5,000-$7,000). Fine examples of Yaozhou and Ge-yao ceramics feature a celadon-glazed stoneware ewer (Lot 215, $2,000-$3,000), and a narcissus planter dating to the 18th century (Lot 227, $2,000-$3,000). The cover lot of the auction is an exceptional monumental cinnabar vase from the 18th century, decorated with four carved landscapes (Lot 387, $3,000-$5,000). ♦ Gilt-bronze Buddha, Tibetan China, 18th century (Lot 525, $8,000-$10,000). Auction previews are free and open to the public and held in Boston on Wednesday, September 14 from 12-5PM; Thursday, September 15 from 12-7PM; and Friday, September 16 from 9-10:30AM. The print catalog is available for purchase from the Subscriptions Department at subscriptions@skinnerinc.com. Prices realized will be available at www.skinnerinc.com during and after the sale. The Skinner website enables users to view all lots in the auction, leave bids, and bid live, in real-time through SkinnerLive! This entry was posted in News and tagged asian art, asian art auction, asian works of art, boston, buddha, China, Chinese art, Chinese ceramics, Chinese tomb pottery, Ge-yao ceramics, Han dynasty, Imperial Robe, jade, Japan, Japanese art, Japanese print, Judith Dowling, Kashan, Korea, manuscripts, Marion E. James, middle eastern art, netsuke, Nishapur, okimono, Peking glass, Persia, Persian art, Persian ceramics, skinner, skinner auctions, Tang Dynasty, tomb pottery, woodblock print, Yaozhou ceramics by Skinner. Bookmark the permalink.